The game truth or dare brings a lot of fond memories to mind but also some painful ones too. We used to play it a lot in college and we used to have a rotating group of friends that also seemed to want to play it after a night of drinking alcohol. It evolved to more of a dare or dare version of the game instead of a truth or dare game. So with that being said, I'll explain how a special night of truth or dare changed my life. We had been playing truth or dare for several hours this night and the ante had been steadily increasing at the intensity of the dares. It was my turn and I chose dare just like I always did. 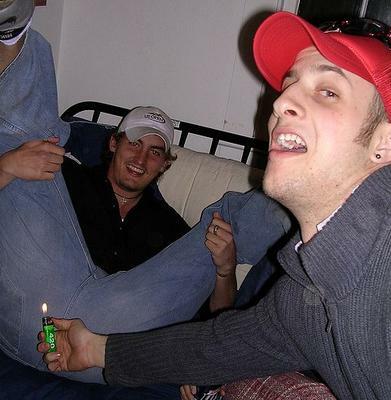 My friend decided to take it easy on me and told me she wanted to see me light a fart on fire. I thought I had gotten lucky because I had done this countless times for my friends and this time would be just like the others. I graciously accepted the dare and lifted my legs into the air and strained for a fart. I thought I had a good one coming so I positioned the lighter in the correct spot and let it rip. Instantly I knew something was wrong as I started to feel an intense amount of heat from my nether regions. I then knew what was happening, my shorts were on fire! I jumped around trying to fan out the flames but now my nylon shorts were ablaze and I was panicking. Thankfully one of my friends grabbed an open beer and started pouring it on top of me in an attempt to put the fire out. A few seconds felt like minutes but the flames had finally went out but now the pain train was on its way. I looked down at my crotch and my nylon pants had sizzling strands stuck to my skin. I tried moving one of them but they were stuck there and they were very very painful. I ended up sitting in cold water desperately trying to get the nylon out of my skin while eating tylenol for the next hour to try and nullify the pain. It took about 3 days before I could properly walk again and it took about 3 years for my friends to not remind me of that "one time" we played truth or dare. We were sitting in a dorm room while in college playing truth or dare while drinking. The truths were getting rough and the dares were becoming more and more extravagant. 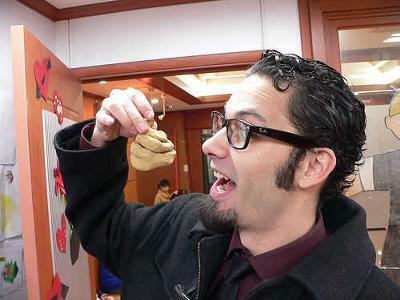 Finally, a guy by the name of "JOE" was dared to take a "Crap" in a bowl and eat it. The laughter started as nobody took it seriously until he said "that is something that you guys would have to pay to see." Before you knew it the case offers started coming up. This game of truth or dare suddenly became a spectator sport where it was going to cost you 5 dollars to watch "JOE" eat his own "crap". After many more beers and a few shots "JOE" went into the bathroom and did his thing in a bowl. He came back and went into the common room. By this time there were over 150 people gathered to watch. We had over 200 dollars already in hand and it got to where we were no longer even able to charge admission due to the crowd. He took a spoon, dipped it in the bowl, and ate it. The crowd erupted with cheers, laughter, and people running thinking they were going to be sick. The next day at baseball practice the coach had caught wind of what happened. He said he already knew the involved parties but they all needed to come forward. He then said, "You have 15 minutes to go get the money and donate it to the baseball program for disgracing us, and all of you will be running laps for the rest of practice." Joe had to eat "crap" and didn't even get to keep the money. For the rest of our college career however, Whenever anybody in the dining hall said something tasted like "crap", Joe would simply shake his head and so "no, Nothing tastes like the real thing." My name is Carl, and this story took place in Austin, TX in the USA. Once when I was playing truth or dare with some friends I ended up drinking a little too much. After several embarrassing truths that I had to answer, the turn eventually came back around to me. Feeling a little bit gutsy, I reluctantly decided to choose dare. My friends sat around and conspired for a minute trying to decide a good dare for me to do. I already had probably at least five beers and was not quite in the best state of mind. Giggling, they continued to argue over whether or not I would actually do what they had discussed, but they still had not told me quite what the dare would be. Finally, they came out and told me that they had decided that my dare would be to take one drink out of a glass of pee. I was extremely disgusted, but all my friends know that I am a risk taker and will do almost anything for a good hearty laugh. I told them I really did not want to do it, but they kept egging me on. 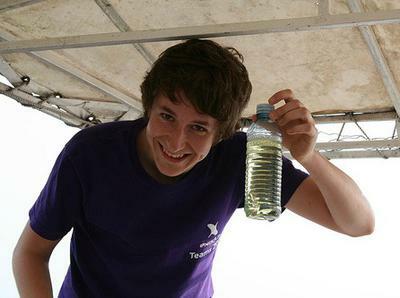 They told me that the pee would be from this girl Sarah that I currently had a crush on. I had seen her drinking a lot of water that night, so I felt that maybe it wouldn’t be too extremely bad, and may just be mostly water. I told them I would do it. Sarah took a glass, went into the bathroom and then came back out with a cup of really yellow pee. It was extremely foamy too. I was thoroughly disgusted, but I was drunk and decided it would make for an amazing story. I held my nose and took the glass in my other hand. I took a gulp in my mouth and was surprised to find it wasn’t that bad. The reason was that the girl had gone in the bathroom and put beer in the cup instead of pee. We all laughed, and they ripped on me for being a “pee drinker”. It was funny, but that ended the game because no one could beat that. Dare? Truth? Which would you choose? I've nothing to hide. I don't have any skeletons in the closet. I wasn't so much fun to play with. Donny on the other hand, had secrets that even today we don't know about. Every time it was his turn we had to come up with a dare for him. Kiss the girl next to you, run around the house backwards, drink toilet water, make a prank call, pretend you are a chair and let us all sit on you, wake up the neighborhood by clanging pots and pans together. We had him do all these things and he did them without fear. But, one night we made poor Donny act like a dog and pretend to go p**p on all the chairs of the house. For some reason he couldn't do it. Maybe, it was because we were all laughing so hard. Well, lol! It was very funny to a bunch of 13 year olds. Portland Oregon United States was a pretty boring place to grow up. Didn't take much at all to make us laugh until tears were rolling down our faces! What memories we made that summer. I wonder does Donny remember as well as we do? Comments for Dare? Truth? Which would you choose? I always chose truth and if it gets dangerous, I just lie. From My experience, boys will be more likely to choose Dares especially at the start of the game. They do it because they want to proof how courageous they are. Girls often prefer to choose Truths. I think it would be more interesting for everyone if it was the other way around. Ok - to begin with, I'm a Tomboy. I talk and do weird things with guys. I don't get along with other girls so that's explaining the beginning. I borrowed a shirt from my friend because it was school color day meaning you have to wear colors (red,white, & black). Well I was in science & we had to make a group project. So I choose Brandon. Well I go: "shoot I forgot that it was school color day!" He goes "if you play one round of truth or dare I'll see if I can give you my shirt." I go "OK let's begin". A bunch of other students started to stare at us & it got really weird. He goes "Truth or Dare?" I go with "dare. Always." So he said to put my hand on a guys crotch for once. I go "I can't the teacher will see!" He goes "I'll distract her"
I go "Ok who do I have to touch?" He said "It has to be a popular kid". I go up to Gavin. Will he's distracting her and I go "HI! ", he goes "hi what Do you need"? I said "do you see that guy over there? He dared me to touch your crotch!" He goes "OK." Which was weird. I yell to Brandon "how long?" So I sit on his leg & I put my hand on it & count out loud: "1,2,3,4,5". "Give me your shirt & I'll give u mine"
I take off my shirt - I had a tank top on underneath - and gave it to him. "I'll need that back after school", he goes. "Nope it's mine now! ", I said. I took off his shirt & ran like crazy! For my twenty-first birthday I celebrated with a few close friends in their apartment, After about an hour and three drinks, we decided to walk down the street to a local bar to continue the party. On the way, we continued drinking from a large bottle of vodka. We passed a house belonging to a person we all really hated and decided that on the way back, whoever of us was drunk enough would have to do something to f**k with their yard. So we went and drank at the bar and had a really good fun time. We sang karaoke and did shots and ate bar food and stumbled out the door and down the street. There were four of us and I was the drunkest because I was the birthday girl. As we approached that person’s house again, the others turned to me and told me I had to do something to the person’s yard. We went into the bushes near the edge of the person’s yard and plotted, trying to decide what exactly I would do. The person had a lot of yard furniture and decorations, and at first we thought maybe I could go and steal a garden gnome or something, but that was decided to be too tame, so instead my best friend dared me to take my pants off and go piss on their patio table. So I took my pants off and ran across the yard, climbed onto the table, and as I was peeing, I lost my balance and fell off the table, crashing between two of the chairs and landing flat on my face. My friends took off running when this happened, taking my pants with them. Thankfully, the person we hated was not home so I was able to get up and make a hasty exit. But I had to do the drunk walk of shame back to my friends’ apartment holding my shirt down as far as it would go because my drunk idiot friends were too drunk to leave my pants in the bushes so I could retrieve them. 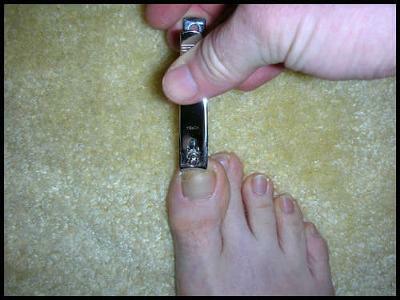 Toenail Dare – Ewwww Disgusting! As the game went on the questions and dares got more interesting. It was Stephanie's turn to choose a victim. She scanned the group carefully, her eyes finally landing on Lisa. 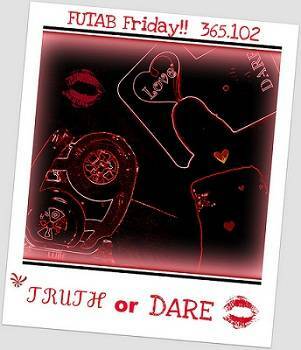 "Truth or dare?" she asked. Lisa thought for a minute and replied "Dare." Without hesitation Stephanie said "I dare you to eat your own toenail!" The look of disgust that washed over the faces of the group was priceless. Lisa's eyes got huge but she quickly put on a brave face and muttered "a dare's a dare." One of the girls went to her bag and grabbed a nail clipper as Lisa removed her shoe & sock. "Does it matter which one?" she asked. By now we were all giggling so much it was all Stephanie could do to simply shake her head no. Nobody made a sound as her mouth slowly opened and she inserted the piece of nail. She scrunched up her face and after a few movements of her mouth she very forcibly swallowed. Thinking she faked eating it, Stephanie insisted she open her mouth and lift her tongue so she could inspect. "She really did it!" Stephanie exclaimed. One of the girls shouted "Toenail Terminator" and the giggling of the group just didn't stop anymore. For the rest of our time at camp Lisa was known as "Toenail Terminator." Comments for Toenail Dare – Ewwww Disgusting! This gets right into my personal Top 10 List of worst dares! Brush your teeth with shampoo! Could You Eat What You Feed Your Friend? Life has been a complex and interesting game for me; give and take. I have always been loved and respected for my honest naivety, but there have been a few who know with the right words they can talk me into anything. As a young, pre-teen in middle school I had social issues due to be nervous and fearful of rejection. Thus, I would sometimes force myself into situations where I could potentially gain acceptance from my peers. I’d seen plenty of movies where good friends played ‘truth or dare’ and wanted to do the same, thinking that the strangeness experienced would bring me closer to my peers. I tried it a few times without much interesting results until I decided to try it on my older sister. She was someone I could trust to bring humor and sociability into my life, right? Of course she initially picked ‘truth’ and bled a few feelings about a boy she was seeing at the time. She was smart enough to know better than picking ‘dare’ with me, as I had a strange and unpredictable sense of humor and to guess was I would make her do was impossible. When my turn came around I chose to go with the dare hoping that it might get the ball rolling. She pulled all the stops to discourage me from ever wanting to play again. 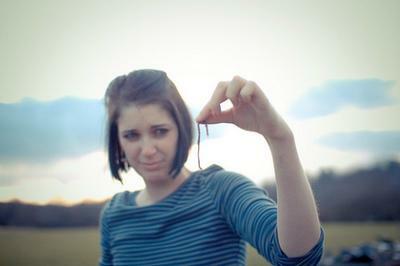 She peeled an old, past-dead earthworm from the road and suggested that I should eat it. Desperate not to look like a coward, I took it into my hand and reluctantly tossed it down my throat thinking that if it missed my tongue I could play it off as nothing and get some credit as being tough. Unfortunately, that was not the case. It did hit my tongue and the taste was overpoweringly disgusting. It took all the force in my body to swallow before gagging and wrenching with nausea. When I regained myself I expected a reaction, but not the one that I received. I was proud of myself for going through with this disgusting task thinking that perhaps I would be on the ‘cool’ list but she simply laughed quietly and walked away. To this day I’m not a huge fan of the game OR worms. Well, my name is Katie. In October I went to my friend Evie's 13th birthday party. I got my friend Katie (same name) to film and we did some epic dares! Fist we dipped a party ring in Guacomole, salsa and cheese n chive dips. Me and my friend Nour were the ones stupid enough to do this. We then had to eat it! it was weird all right - but I've done weirder! We then did the same but with a carrot too - I HATE carrots, they are disgusting! - It was the most DISGUSTING taste you could imagine. (well maybe not that bad). However, my friend Clare thought it was nice! Carrots - Nice? You've got to be joking! After that we all danced to Gangnam style (five times!) and my bestie Chelsie filmed it! It was a great night for all of us! I love Oppa Gangnam Style! If you have already shared your dance dare on Youtube, be sure to let us know about the link!